Hiking advice should come from a person with a lot of dirt (in the sense of trail time) under their boots. I'm as old as dirt! Well, maybe it only feels like I started hiking at the dawn of time! But guess what? I'm still in love with hiking, after 4.5 decades!! So here's my straightforward hiking advice on how to hike if you're just starting to get into this wonderful sport. 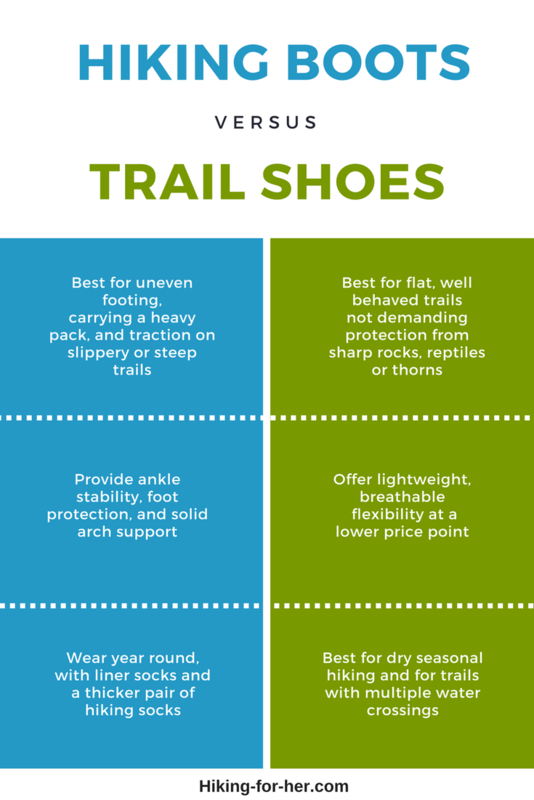 Your feet are the foundation of your hiking career. Above all else, no matter what else you do, find a pair of boots that fit you PERFECTLY. Let it become your quest in life to search out the one pair of hiking boots that were made for your feet. And then buy two pairs! Just in case the first pair falls apart, which it will! thicker outer socks with padding in the heel area. Now I know what you're thinking: 2 pairs of socks will be too thick, too hot, too whatever. But here's why I urge you to do two pairs: blister avoidance. If you trash your feet early on, it will detract from your trail time and may even discourage you from hiking altogether. We want to avoid that!! More specific sock advice, based on many many trail miles, can be found here. These might seem painfully obvious, but if you overlook them, there will definitely be pain. Carry only what you need on your first few hikes. This little bit of hiking advice is aimed at your solid core: your spine and deep back muscles. Maxing them out with a heavy, ill fitting pack is just asking for trouble. Start out gradually: carry the hiking ten essentials and nothing else. Build up your strength and endurance with daily walks around the neighborhood, starting with a bit of weight and then adding more weight on your back. You'll be able to sense how much stronger your back is getting, especially if you do some self-care. For a bit more information on how to identify the way to find the perfect pack, read this. Do you prefer a fanny/lumbar pack? Here are a few tips on this lightweight alternative to a back pack. Approach your daily food intake differently when you're on a hiking trail. I'm not suggesting that you eat "wrong" now. I'm merely bringing up the fact that if you're a hiker, with toned muscles, you're burning fuel differently. And when you're on the trail, you need to be thinking about more than just calories! Water should spring to mind. The right mix of nutrients, eaten at the right time and in the right combination, too. Hike with people you trust. Trust your gut to tell you who they are. If someone makes you feel uncomfortable or stupid or slow or any number of negative emotions, stop hiking with her/him!! It's okay to learn from trail veterans who have lots of hiking advice. But it's never okay to be bullied into trying a trail that takes you out of your comfort zone (too long, too steep, too dicey, too TOO). And don't apologize for wanting to hike your own hike. You know your strengths and abilities, and which trails are just right. If you think a hiking group is right for you, consider these tips. Interested in solo hiking? You are your ideal trail buddy, right? To find a hiking buddy for duo adventures, consider the Hike With Me system. 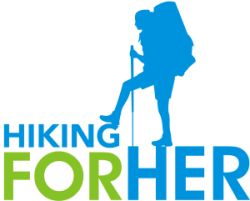 Or join the Over Forty Hiker on line community here at HFH to meet potential hiking partners. You will learn to take good care of your hiking gear, because you depend on it to keep you safe and comfortable. Also pay attention to what your body says to you during, and especially 24 hours after, a hike. Because it's asking for what it needs. And it will keep asking until you supply it, or something breaks down or quits working. So if you want to keep hiking for years to come, you must pay attention to all of the little "post cards" you're receiving from your hiking body. Inflammation is NOT your best friend forever. 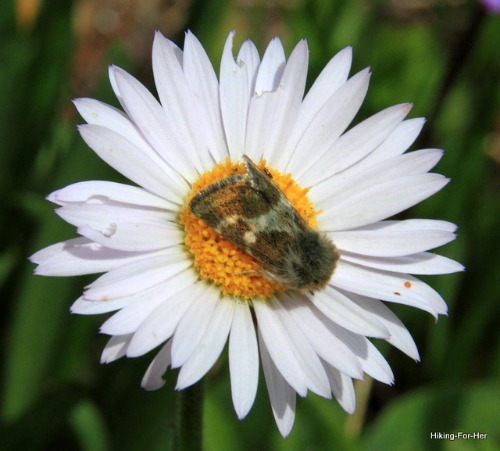 Looks like this moth is giving this beautiful alpine flower a bit of advice! Or is it pollen? I hope by now that you feel that you're in the right place for advice and tips to enhance your trail time. I'm all about passing on what I've learned over the years, on long and short trails in a wide variety of places. I've already answered some questions you might have here. But if you have a burning question that isn't addressed on this hiking website, send it to me. I'll do my best to answer it! To get all of the best hiking tips all in one place, so you can digest it at your leisure and refer back to it often, get the Hiking For Her book for day hikers.